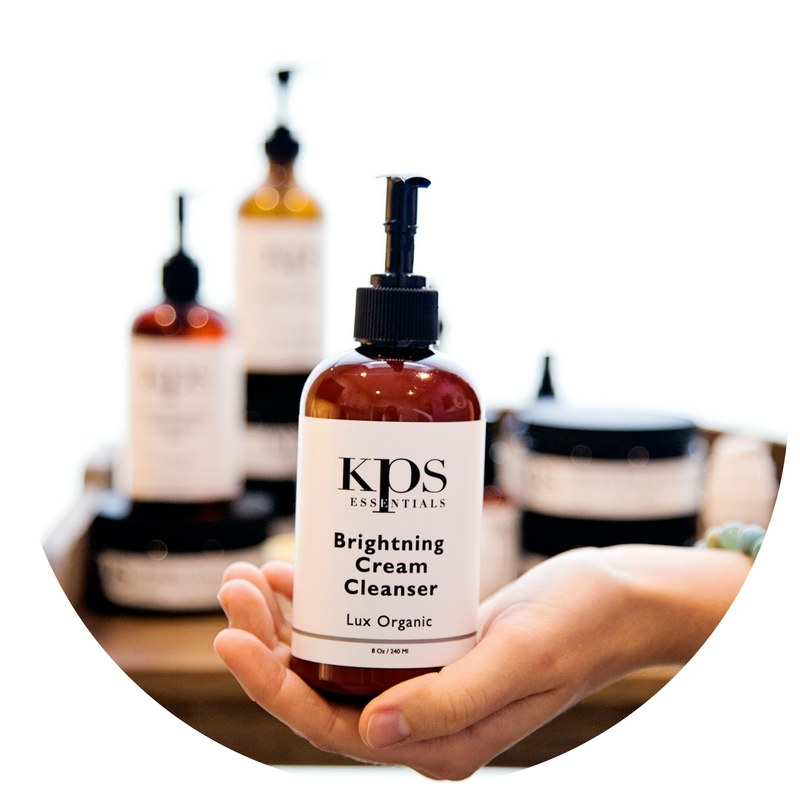 KPS Essentials Skincare: Local to Grand Rapids, founders Natalie Bauss and Ron Webb, an esthetician and rocket scientist respectively, created KPS essentials skincare using the highest quality, organic, food grade ingredients that feed, lift, renew, replenish, and soften the skin. Their DermaNu Technology is clinically validated to boost skin hydration, collagen, volume and reduce hyper pigmentation and acne. Facial services at GRNH are done using the KPS Essentials line and we also carry the line in office for purchase. Grand Rapids Natural Health Service, KPS Essentials Products (photo).